The second presentation in our Ocean Science Speaker Series will be held on December 4th at the Newport Public Library from 6-7pm. Five Brown University engineering students will present their findings based on a semester of research work with COA’s marina trash skimmers. Their research focuses on methods of separating organic and inorganic debris collected from the trash skimmers on Aquidneck Island. 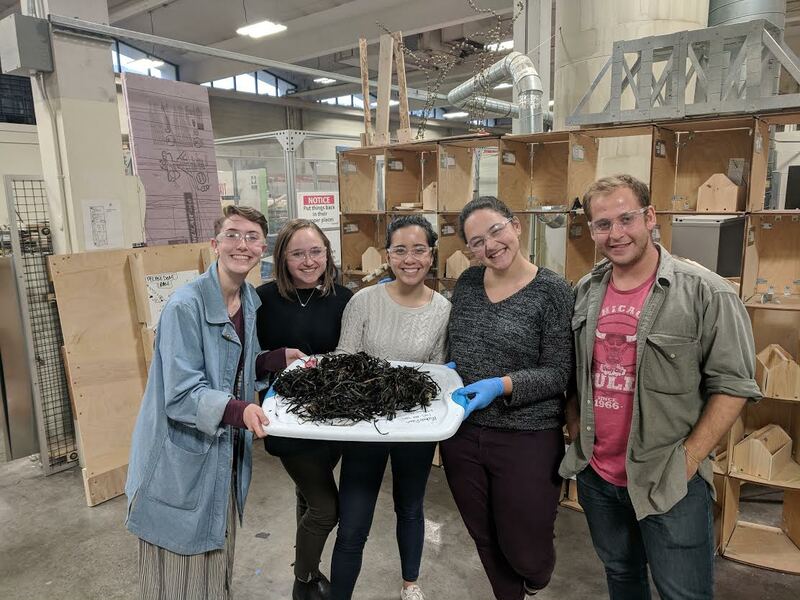 This fall semester Erin Cole, Samuel Frolichstein-Appel, Bianca Antonio, Emily Sauter, and Isabelle Bauman have been working with COA to find a better way of tracking and managing marine debris collected in the marina trash skimmers. As part of a capstone class, the five engineering students researched methods of separating organic matter, like seaweed and macro-algae, from inorganic matter, like plastic debris and microplastics. Using weekly seaweed samples collected from the Newport marina trash skimmer the students worked to engineer a device that will assist COA with post-separation processing, properly managing marine debris, and with streamlining data collection from the skimmers. Bianca Antonio is a senior at Brown University studying mechanical engineering. She is interested in the intersection of design, technology and social innovation. After graduating, she hopes to blend all of her interests to create products and structures that people love to use. Bianca is originally from the Philippines and Singapore (two countries made up of islands in the Pacific) so she’s very grateful to experience working with coasts and conservation through Clean Ocean Access in Rhode Island. Sam Frolichstein-Appel is a senior studying mechanical engineering. Originally from Chicago, he’s very interested in big things (e.g., trains and skyscrapers), and is interested in working in transportation, infrastructure, or construction after graduating. 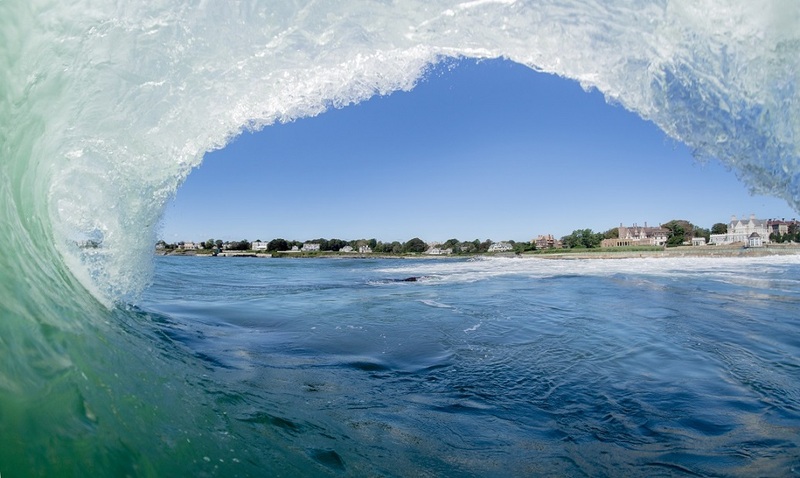 Coming to Rhode Island has introduced him to new concepts such as small things (e.g., microplastics and strands of seaweed) and the ocean, and working with Clean Ocean Access has enabled him to appreciate the connections between such big and small ideas. Erin Cole is a senior studying mechanical engineering at Brown University. She grew up in a small mountain town in Colorado, where her love for the environment began. While at Brown, Erin has focused on design and education, working to make engineering more accessible. She has loved working with Clean Ocean Access to address ocean pollution while learning more about environmental efforts in Rhode Island! Isabelle (Izzy) Bauman is a senior at Brown studying Mechanical Engineering with a focus in renewable energy. Izzy grew up in Los Angeles California, but her family has been in Jamestown, RI, since 1634! At Brown, she is president of Climate Action League, a student group that implements energy-efficient technology on campus. She’s preparing a senior thesis on piezoelectric rain water harvesting, and also sings in the University chorus. She has research and industry experience in wind energy, solar energy, and sustainable building design. Izzy is excited to apply her backgrounds in engineering and environmental advocacy with Clean Ocean Access this semester. Emily Sauter is a senior electrical engineering and political science major. Hoping to someday bridge the gap between often technically illiterate policymaking and socially irresponsible technology, she has found a wonderful home at Brown. 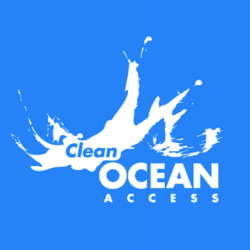 Working with Clean Ocean Access has been an incredible combination of these interests, working to find technical solutions to address society’s ills. She hails from the San Francisco bay area where she hopes to eventually return, perhaps bringing some of the lessons from one coast back to the other!